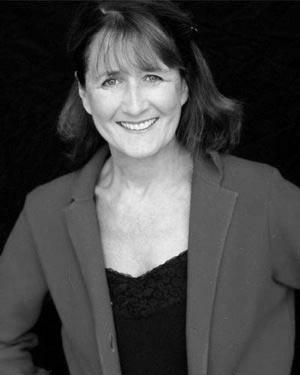 Barbara Mackenzie-Wood has been a member of the Carnegie Mellon School of Drama faculty since 1986 and for the past twelve years she headed up the Acting/Music Theater Option. She has been honored with the prestigious Henry Hornbostel Award, given for teaching excellence in the College of Fine Arts. Ms. Mackenzie-Wood began her professional acting career playing opposite Raul Julia in the title role of: The Hide And Seek Odyssey Of Madeline Gimple, directed by Lloyd Richards, at the Eugene O’Neill Playwrights Center. As a professional actress she has appeared in more than 65 roles in New York and regional theater, stock and film. She is a founding member, actor, director and current member of the board of trustees of the Irondale Ensemble Project, a 30-year-old Obie Award-winning theater company in New York City. Ms. MacKenzie-Wood has worked with leading theater directors, Paul Sills, Jacques Levy, Joanne Akalitis, and Jacques Lecoq, and was a member of the acting company at the Long Wharf Theatre in New Haven for five seasons. She played the central role in How To Make A Woman, the American representative at the International Theatre Festival in Wroclaw, Poland. Ms. MacKenzie-Wood created the theater program for Global Camps South Africa, a pioneering, international venture fighting the devastating effects of HIV/AIDS on children in South Africa. She has taught and directed in Moscow for Moscow Art/CMU graduate Acting Program and in London at the Drama Center. She is author of the Game Guide: Experimental Strategies for the Classroom and is featured in the book, Acting Teachers of America: A Vital Tradition which offers interviews with “fifty of the most influential acting teachers in the United States.” She is a certified master teacher in the Meisner Technique. Ms. MacKenzie-Wood holds a B.F.A. degree in Acting from Boston University and an M.F.A. in Directing from Carnegie Mellon University.